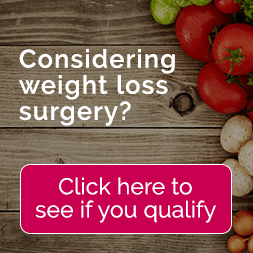 Individuals that have tried other kinds of weight loss programs and failed often look to weight loss surgery as a means to lose weight and keep it off. This is especially the case if the individual is in danger of developing comorbidities due to obesity such as type 2 diabetes, high blood pressure or high cholesterol. Two of the most common types of weight loss surgery include the gastric sleeve and gastric bypass. These two surgeries have some similarities and some differences. Before selecting one of them it is important to know what these are. Gastric Bypass Surgery: The gastric bypass surgery also includes creating a new stomach that is much smaller than the original one. The newly created stomach is like a pouch and can only hold a small amount of food at one time. Unlike the gastric sleeve surgery, the gastric bypass surgery also creates a bypass of approximately six feet of intestines. This is done by removing that length of intestines and reconnecting the newly created stomach pouch further down the intestines. The process works in two ways by creating less room for food thereby reducing the consumption, and by reducing the calories and nutrients the body takes in shorting the digestive process. Gastric Sleeve Surgery: The process of gastric sleeve surgery is such that the surgeon removes approximately 85 percent of the stomach and shapes the remainder of the stomach into a sleeve. This sleeve both reduces the amount of food that can be ingested and changes the opening where the food goes into the body to allow only food of a small size into the sleeve. This means smaller amounts of food and restrictions on the types of foods that can be eaten. The biggest difference between gastric sleeve surgery and gastric bypass surgery is the way in which each surgery controls weight loss. Since the gastric bypass surgery literally bypasses the digestive process in some ways. While the gastric sleeve uses food intake restriction as a means to reduce weight, the gastric bypass pushes the food straight through not allowing for absorption into the body. This may be considered more dangerous in some ways limiting the nutrition the body receives from the food. Both the gastric bypass surgery and the gastric sleeve surgery are typically performed laparoscopically. This means that small incisions are created and tools with cameras are used to do the work. This also translates into shorter and less painful recovery. There will be some pain with both procedures for a couple of weeks after the surgery. Both have risks such as infection or internal bleeding and keeping a close watch on any possible symptoms is vital in both cases. Both procedures are considered to be permanent and there the restrictions that these procedures put on your diet will be life long. That said, the gastric sleeve can be altered by having a gastric bypass at a later date. In some cases, this is actually the plan when the patient has a great deal of weight that needs to be lost. In order to get the best results from these procedures, both will require a change in approach to food, nutrition, and exercise. This said, there are some additional changes that may be necessary for the gastric bypass that are not necessary with gastric sleeve. Since the gastric bypass prevents the body from absorbing much of the calories and nutrients in the food ingested, it may be necessary for your doctor to prescribe you additional supplements to ensure that your body gets what is necessary to stay healthy. Choosing the best weight loss surgery for your needs can be overwhelming. It is important that you consider the long-term commitment that will be required for the procedure you are interested in. Your physician may be able to help you to select the weight loss procedure that is likely to provide you with the best results.